There’s a lot of different subjects in this week’s bumper round-up from the Herald letters page. It seems that there is very confusing information being promoted regarding the Hampden Fields development. Here are the facts based not on my own figures, or figures by some pressure group, these figures are from the developers’ own transport assessment and can be found online among the 212 documents and thousands of pages accompanying this application. The dual carriageway has not been confirmed despite the very unfortunate headline in the Bucks Herald last week. The developer has only confirmed it will be built “if required”. What they mean by that is if the Hampden Fields traffic model makes it necessary to build it and subsequently Bucks CC insists on it. Bucks County Council can’t just insist on it, it has to be “required”. At the moment the developer’s traffic modelling says it is not required. So it might be in the application but the actual detail of the road, buried away in the appendices of the transport assessment, only includes a “boulevard” off the A41 roundabout at Woodlands to New Road. This is a distance of 0.9 km. This whole thing is a red herring anyway because the issue is the gyratory system and traffic in Aylesbury itself. Most people will recognise that this is why the inspector and the Government turned this down only a year ago. In the developer’s own transport assessment it makes it clear the traffic at the gyratory is going to get considerably worse – from 3,831 cars at peak morning period in 2010 to 5,143 cars in the coming years. That is with both the Hampden Fields link road and the BCC/AVDC road off the A41. Maybe there is some evidence for a major road bypassing Aylesbury between the M25 and M40 but the evidence for a Southern Link Road around Aylesbury is weak. The fact is, I am afraid, that whatever you build around Aylesbury, people still mainly have the ultimate destination of the town centre because that’s where everything is: grammar schools, hospital, supermarkets, university, even BCC & AVDC headquarters themselves, before we mention actual shops. These are the planning mistakes of the past coming home to roost. There is no need to compound them by more errors now. While I agree with Stephen Caunt (letter of March 2) that we are locally disenfranchised, I would like to point out that we have an elected representative for our region in the European Parliament, Anneliese Dodd, who is urging us to vote to stay. Many of those who argue for leaving suggest that “unelected bureaucrats in Brussels” make the decisions in Europe. Nothing could be further from the case. The decisions are made by our elected representatives in the European Parliament and by the European Council, made up of national heads of state or government, including, of course, our own. Indeed, the bureaucracy in Brussels is smaller than that of many British county councils. An argument is also put forward about the contribution that the UK makes to the EU budget but, according to the CBI and HM Treasury, in return for every £1 put in, we get nearly £10 back in increased trade, investment, jobs, growth and low prices. What chance do we have of challenging multi-nationals acting unilaterally? Threats to security are global; working with our closest neighbours and using the European Arrest Warrant makes us safer. As part of the European Union, we have more say on the world stage. Part-time workers commuting from the Aylesbury area to London Marylebone using Chiltern Railways are about to be penalised. Bizarrely this is because Chiltern will be starting a new service on a completely different branch of the rail network. For most part-time workers a season ticket is uneconomical, so a cost-effective solution is to buy a Chiltern Carnet. For several years this has offered 12 return tickets for the price of 10. However, Chiltern is about to reduce the value of its carnets and from May will instead sell 10 for the price of 9. This means, for example, that (using a carnet ticket) each return journey to Marylebone from Wendover will increase from the 2015 price of £18.08 to £19.62. This represents an increase of 8.52 per cent, far greater than this year’s 0.92 per cent increase charged to full-time workers for their season tickets. When pushed for a reason, Chiltern said it is doing this because Great Western sells carnets at 10 for the price of 9, and that GWR tickets will be valid on the Chiltern service once the direct Oxford to London route opens. However, part-time workers tend to be lower paid and disproportionately female. I’m therefore concerned that Chiltern Railways feels it’s acceptable for these customers to bear a massively disproportionate extra financial burden purely because the company has gained a new route elsewhere. I work in education locally. I have taught in all three of our secondary upper schools and I have also gone through the schooling system, from primary all the way through to sixth form in a grammar school. So I have some views which may be of interest about the situation between the grammar and the upper schools. Let me start with our selective system. We are told that each type of school best suits our children’s varying abilities and intelligences. And I must say that grammar schools do create a wonderful, accelerated atmosphere for their children, who feel special, valued and part of an elite. As they are selective and oversubscribed, grammar schools have an advantage when it comes to poorly-behaved children who are not keeping up with the workload. They have to change their ways or they are asked to leave. Thus was the case with one of my family members. And go where? To the upper schools. The upper schools have the greater challenge. Not only do they also have to provide an accelerated environment for their most able kids and engage those of average ability, but they also have to educate large percentages of kids with specific learning needs, with English as an additional language and some with no English at all. Upper schools also have to educate a critical group of students: most of the poorly behaved and disaffected students coming up into Year 7. The grammar schools will not catch a scent of these students, but we in the upper schools have to embrace and inspire these children, who inevitably use up tremendous amounts of time, energy and resources from us. These kids are a minority but they are a significant minority. And here lies the problem with the selective system. It is a great if you go to a grammar school. But if you go to a true upper school, you will have to share your schooling with some children who do not know how to behave or who are not bothered about their education. Some 20 years back, many of these kids would have spent more time in special schools, but nowadays we have to accommodate these kids, while ensuring everyone else is progressing and getting the best out of school as possible. So, my final point is that if people in Buckinghamshire want to keep grammar schools, then fine. They are doing splendidly as they are. But our central government and local authorities should dedicate more funding, more support, more staff and more guidance to our upper schools because we face a much greater challenge in terms of dealing with behaviour and disaffection. Have you ever wondered why there has always been such a high staff turnover in the upper schools? The answer is quite simple: teaching in these schools is more stressful. Teachers would rather find a place to work where the majority of kids can generally get on with their work rather than being sworn at or threatened, which is sometimes the case in upper schools. It is a minority who do this but, I must add, just receiving it once is enough for some to leave the school or the job. The selective system puts upper schools at an inherent disadvantage, so give them more support. I find it rather disingenuous that the grammar schools are calling for more funding, especially as they are actively bypassing children in the Aylesbury Vale and receiving scores of children who live an hour away from school. Incidentally, what do you think this adds to our congested roads every morning? You do not need to pass the eleven plus to work that out! I refer to Richard Lipscombe’s letter in the BH (February 24) about BCC staff car parking and wanted to let residents know the correct position. Some years ago, the county council introduced a charging scheme for staff who wanted to continue to use the Friars Square car park. Essentially, unless staff are designated as ‘essential car users’ like social workers for example, they pay an annual contribution of £575 to park in Friars Square. Only 300 members of staff are in the essential category out of 1,500 who work in the County Hall complex. Part of introducing this policy was for staff to consider whether driving to work was best for them. Of course some decided to use alternatives such as the bus, train, bike or walking. The council has also played its part by providing more bike sheds, a car share scheme and enabling staff to work from home or other locations, where possible. 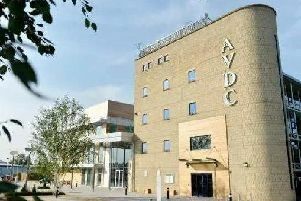 This helps to reduce the need to travel in to Aylesbury and saves on accommodation costs at County Hall. It’s all part of our strategy to change the way staff travel to work and to reduce internal costs. As a dog owner who understands his responsibility to clear up my pet’s mess I have in the past had to put up with being tarred with same brush as the owners who don’t. I have noticed while on my twice-daily walks that some people are now picking up the poo but rather than carrying the said package until a bin is reached they choose to launch it into hedgerows,bushes or nearby undergrowth. Today I was passing along the public footpath from Tring Road towards Weston Turville and lost count of the number of poo bags decorating bushes, including one which had been thrown and was dangling from a garden tree which overhangs the West End ditch. My point is please consider the person whose garden that tree belongs to – and the environmental agency operative who hits your discarded bag with his strimmer. You have bagged it so bin it! Open letter to Bucks County Council. Having read the article in the Bucks Herald regarding changes to the disabled parking facilities in Aylesbury I would like to make a suggestion. I am sure your plans are not discriminatory but have been made to bring in more revenue to a cash-strapped council. I would like to suggest that you charge for disabled parking in Aylesbury. As someone who was paralysed in a car accident in 1968 and use a wheelchair for mobility, I have watched with dismay the proliferation of blue badges and the amount of abuse of these wide bays over the years. Many now choose to use this parking because it’s free, not because they need a wider bay. I have often resorted to using the multi-storey car park even although it is a long way from my intended destination simply because parking is almost always available and I have been unable to find a disabled bay anywhere else in town. I pay the same as any other user which is fine. Without wide bays I would be unable to exit or enter my vehicle. Please consider charging for ALL parking in town. It would bring you much- needed revenue and solve many of my problems re: abuse of disabled parking. It would also ensure that people who really couldn’t park in anything but a wide bay would be able to find parking in town. Is the wind turbine near Berryfields a folly? Is it generating some of the energy for the new homes? If it is the latter should more be built in this area? Not wishing to upset anyone. New houses will require power. Is it preferable to have a wind turbine to fracking in national parks? This seems to be a creeping solution. So much for less fossil fuels. With 2,450 homes under way (BH, March 2) and more in the “disjointed” concreting over Aylesbury Vale, should there be plans for more wind turbines? Maybe a solar farm, with sheep grazing between the sun collectors, should also be accommodated in the land being developed? Not really wanting to lose any of the beautiful Bucks countryside, but if houses are needed should we at least try to be carbon neutral? This is the claim with an area in Bicester just a few miles away. RE: Town centre restaurants. I live in Park Street and use the canal route regularly to access the town and the station. Perhaps a coffee house would be a starting point? I’ve often thought the Travelodge ground floor cafe would be a great place for a quiet coffee/ breakfast? Having moved into the town in the past nine months I think this location is wasted and under valued. I hope its potential can be realised soon. It’s not that difficult to work out why there has been no interest in the lower floor of the campus. Aylesbury has more eateries/coffee shops and takeaways than retail outlets. What used to be a thriving hub of weekend joy is now a pitifully depressive place to visit. In the same week Buckinghamshire Health NHS Trust announced a £14.4 million deficit by the end of this month, David Cameron revealed the intention to cut up to 90 per cent of Conservative associations. The connection between the two is that expensive follies of the NHS like PFI, internal markets and so on were NOT the products of grass roots initiatives or demands but those of political parties’ mandarins. Such ideologies arose from wealthy lobby groups and immensely rich donors to political parties that were then beholden to them rather than their subscribed membership. For example, in 1951 the Conservative Party had a membership of 2.9 million while at the last election it was only about 150,000. For democracy to work local political parties are the key in choosing candidates to represent constituents as MPs. Local parties should not be the foot soldiers for the whims of the political elite promoting their own agendas, as seen with the meddling with the NHS with such disastrous consequences or lavish projects like HS2 that emerged from nowhere as supported by all the major parties leadership, despite little or no discussions within their own parties’ memberships. Many demands, often with worthwhile aims, are now made upon our time. Yet these distract us from the importance of being citizens first and foremost to see that policies that govern the whole of our lives are arrived at through open democratic debate and not the whims of a privileged minority who control our political parties.